There's been a lot of speculation about where the next BrewDog bar will be opened, and today we got the clearest indication yet that it could be Leeds. 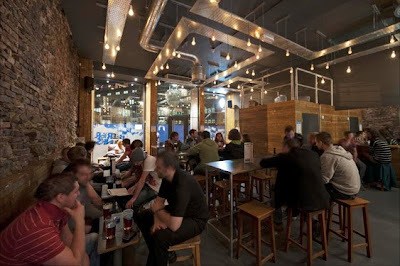 "The main purpose of their visit [to Leeds] was to look at some locations for the next BrewDog bar. It seems that Leeds is next on their radar, with some very targetted visits from James and Martin, along with bar manager Bruce from BrewDog Aberdeen. 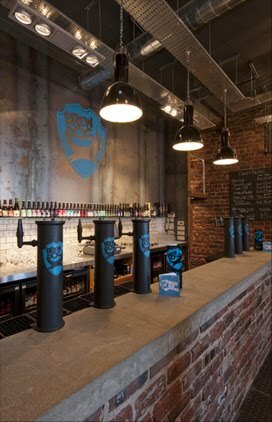 Nothing is signed, the shop window is still strictly for browsing, but it seems likely that BrewDog will open a bar in Leeds at some point this year." The company already have successful bars in Edinburgh and Aberdeen so it's massively exciting news for the Leeds craft beer scene to be the next chosen location. It will hopefully create healthy competition for the bars already serving great beer in Leeds (such as North Bar, Mr Foleys, Veritas etc), as well as acting as a 'destination bar' to attract beer geeks from further afield. If the news comes to fruition I for one will be at the front of the queue when this place opens. I have also been reliably informed of the possible location, from a contact who shall rename anonomous! I can reveal that's it's a cracking spot which is PERFECT for a BrewDog bar. I was sworn to secrecy but once i'm allowed to, I will share the info! Beer Cocktails: Awesome or boresome?